ART - just do it! : A Lego card for my oldest grandson!! 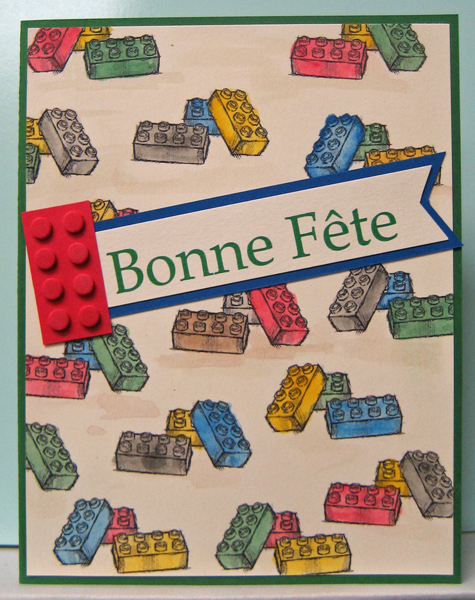 My oldest grandson is having a Lego party for his birthday so I thought I would make him a card using that theme. I created a background with little Lego block and watercoloured them the basic colours. Our kids played with Lego in these colours but these days Legos come in a lot more colours as themed Lego sets are created for every occasion and many that coordinate with movie characters, etc. Our grandchildren have a better selection of colours in their Lego boxes!! After watercolouring all the blocks I added just a bit of colour in between to give them a place to be sitting. I added the layered laser printed greeting with a flagged end and the mounted my little Lego to the end. 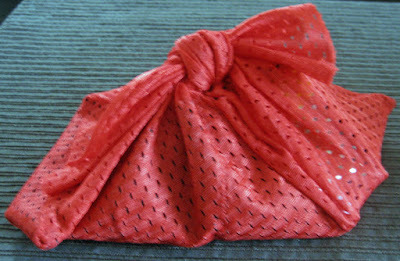 This little piece was created using a little rectangle of red cardstock and eight little pieces of round red fun foam. These were diecut and came with a fun foam ornament kit but I expect you could use a punch and get the same look! I like the 3D look of this piece!! It looks so much like a piece of Lego!! I am sure he will enjoy his fun day with family and friends! !